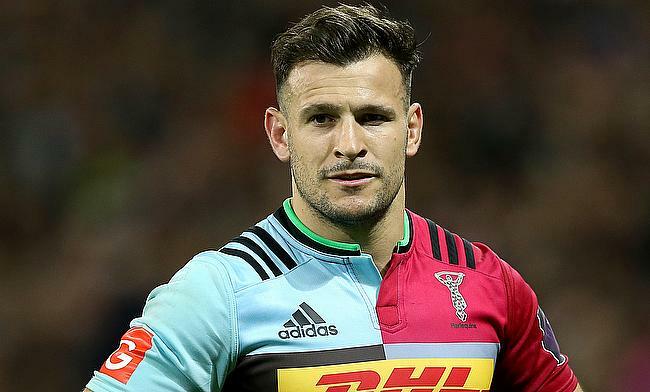 England international Danny Care has signed a new two-year contract with Gallagher Premiership club Harlequins. The scrum-half kick started his professional rugby career with Leeds and joined Harlequins in 2006. He has racked up over 250 appearances for the Twickenham Stoop unit in which he managed 76 tries with 54 out of it coming in the Premiership games and enjoyed domestic title win in 2012 and a European Challenge Cup success in 2011. “Danny epitomises all that is good about Harlequins and I know everyone at the Club joins me in congratulating him on his new contract," said Harlequins head of rugby Paul Gustard to the official website of the club. “Danny offers something different in every match we play and he is a player that you never want to come up against. He sees things before we do up in the crow’s nest and he has the skill, bravery and courage to make the decision and execute. "There are very few players in the world - never mind the country - that have his talent allied to his level of consistency in performance. “He has bought into everything that we are trying to achieve here at Harlequins and he always brings that sense of fun that makes training so enjoyable with him around. Care has represented England in 2004 and 2006 Common Wealth Games and went on to win Silver medal in both. He has also went on to represent England U16, U18, U19, U21 and U20 teams apart from being part of England Saxons as well. The 32-year-old went on to play 84 Tests for England since making his debut in 2008 and is also the most capped scrum-half for the red rose team. “I’m delighted and incredibly proud to have signed for two more years with the club that I love," he said. “I’ve had 13 amazing years here and I can’t wait to see what the next few will hold.